New Delhi, February 7: Businessman Robert Vadra appeared before the Enforcement Directorate for the second day today in money laundering case probe and his questioning is on. The agency had questioned him on Wednesday as well. This is the first time that Vadra is appearing before any probe agency in connection with alleged dubious financial dealings. 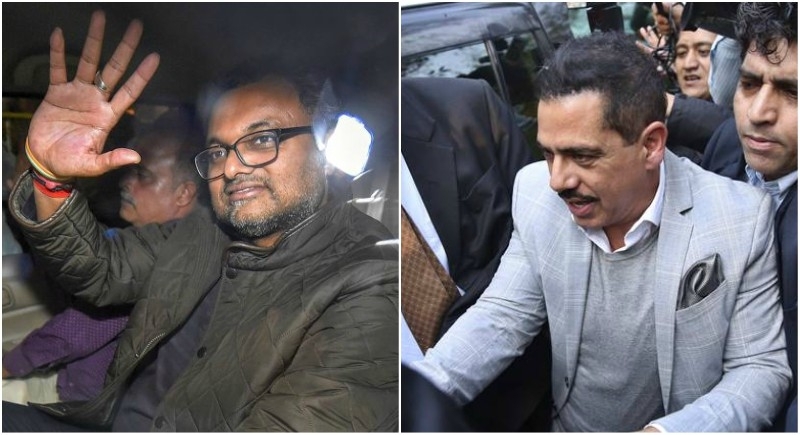 On the other side, son of former Finance Minister P Chidambaram, Karti Chidambaram today appeared before the Enforcement Directorate in connection with INX Media case. Karti was summoned by the agency. The Enforcement Directorate has questioned Karti on several occasions in the case which is being probed by the agency and the Central Bureau of Investigation.